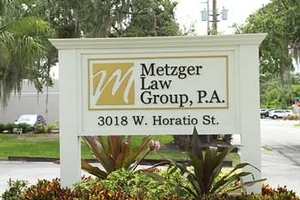 Premises Liability | Tampa Insurance Defense and Litigation Attorneys | Metzger Law Group, P.A. Thus, under Florida law, the mere fact that a Plaintiff alleges negligence is not enough to get the case to a jury. Plaintiff must come forward with some evidence that the premises owner failed to maintain, inspect, or operate the premises with reasonable care. Under Florida law, a premises owner is not responsible for an injury simply because it occurred on its premises. Given this fact, the initial discovery phase of a premises liability case is extremely important. The specific factual details regarding the allegations being made by the Plaintiff are critical in such a case. If the Plaintiff can not meet the burden of proof set forth in section 768.0710, Florida Statutes, then oftentimes the matter will be dismissed by the court on a defendant’s Motion for Summary Judgment, prior to trial. The attorneys at Metzger Law Group, P.A. are extremely successful in developing premises liability cases to show that the incident occurred due to the acts or omissions of the Plaintiff, a third party, or were simply an accident not due to any fault of the premises owner. Our attorneys have been granted numerous summary judgments on these issues and have obtained many defense verdicts on premises liability cases that have gone to trial. Additionally, Florida’s transient population and significant crime rate requires effective premises liability defense litigation in the area of negligent security cases. Metzger Law Group, P.A. also aggressively defends premises liability claims based on false imprisonment, kidnapping, sexual and other assaults and wrongful deaths. We have offices conveniently located in Tampa, Florida. Please contact Metzger Law Group, P.A. today to address your Premises Liability needs.